See, we have left everything and followed you. What then will we have? I returned to the workforce after being a stay-at-home mother for over 20 years. I never once regretted my decision, although I have felt the financial repercussions of being behind my peers in their return of investments (R.O.I.) in retirement funds. 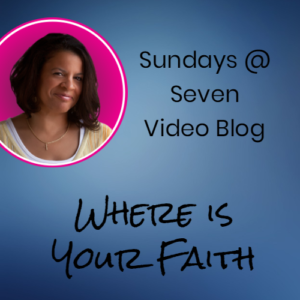 This was bothersome to me for a short time until I realized the reason I stayed at home—it was from the leading of the Lord. I realized that although my material possessions were low, my spiritual R.O.I in following God far outweighs anything offered from the world. 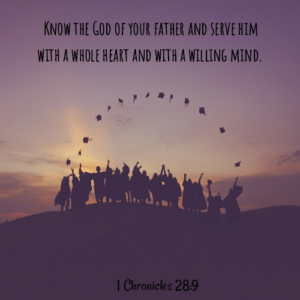 As believers, we constantly have to keep in mind that only what we do for Christ will last. If we aren’t careful, we can get sucked up into the craziness of attaining worldly possessions as a means of peace. The problem is that material investments of 401Ks, pensions, stock market investments, and other material possessions are unstable, unreliable, and prone to disappointment. It’s not that we shouldn’t save for and invest in our future to leave a heritage for our children’s children; rather, it’s that we value more highly our spiritual return of investment in our personal lives and the lives of those we love. Just as a financial rate of investment is accrued over a period of time, so it is with our spiritual investments of prayer, Bible study, giving, fellowship, etc. As we pour into the lives of those God has placed in our pathway, we are making eternal investments that will pay off forever. One day we will receive great rewards, rather than suffering loss, when we stand before Christ for wisely investing in the spiritual over the natural. Dear Lord, forgive me for the times I diverted my attention to attaining worldly possessions over heavenly treasures. 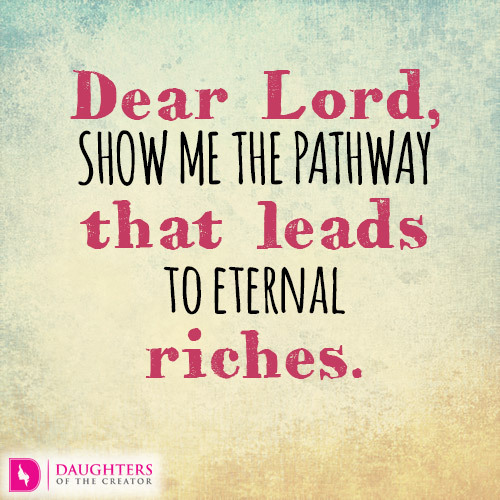 Show me the pathway that leads to eternal riches. Amen.